Visibility/Location: If you're not from Pontiac, it may be a little difficult to find your way out to the 4-H park. Wait Entertainment: When in line, you stand right next to a fence, behind which stands a "mental patient" that often tries to climb the fence to get to you. Also, there are various monsters wandering around the wait area. Length of Event: About 20 minutes. Actor Performance: Very good. I was impressed by the actors. Patron Flow Inside Attraction: Excellent. Once inside, we moved at our own pace, and never saw another group. Appropriate Ages: All ages. Free supervised kids area for children who get too afraid to enter. Props / Special FX: Some pretty cool props. The neatest thing was the vortex tunnel. Very cool effect. Costumes / Make-up: Pretty good costumes. Make-up done well. 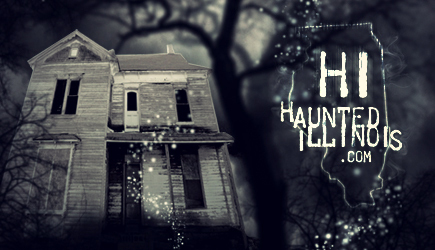 Summary: I'm not a huge fan of haunted houses to start with, and with this going on in the small town of Pontiac, I didn't really expect much. However, I was pleasantly surprised. Even in the parts of the house that were not real scary, I took appreciation in the fact of how great the sets and the acting was. My one complaint was that the maze towards the end seemed excessively long, and didn't really have many scares in it. It had a lot of screaming girls, but not really any monsters lurking to spook you. Overall, however, I had a lot of fun! I hightly recommend it for anyone in or around Pontiac.